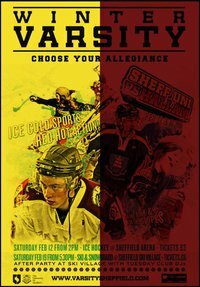 Winter Varsity 2011 kicks off tomorrow with the much anticipated ice hockey match. The match sees players from the Sheffield Bears split in two and face off against each other in order to gain bragging rights for their university. Any friendships or loyalties are left behind as players from Hallam and Uni compete against each other for this annual event. Chris Bryniarski, Sheffield Hallam, believes it’s one of the most fearsome games in the hugely successful club’s season. Last year the event drew a crowd of over 4,000 and this year they are expecting even more fans to descend upon the Motorpoint Arena, Sheffield.